Kernow Fires are suppliers of the Everhot 120 in Cornwall. The Everhot 120 Series provides an exceptional choice of cooking options and is perfect for family cooking and larger kitchen spaces. 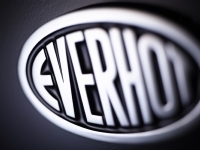 There are two options to choose from: the Everhot 120 or Everhot 120i. 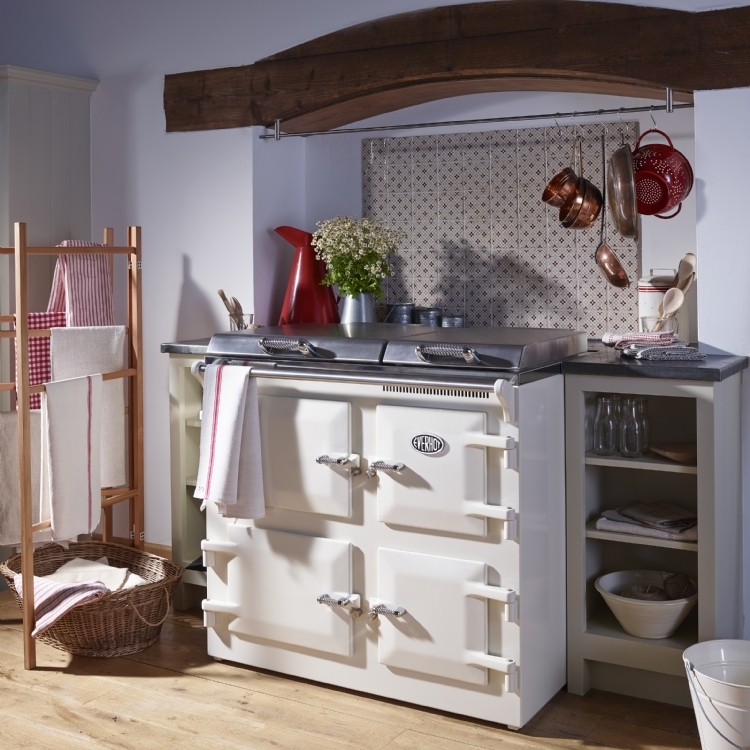 This classic thoroughbred performs superbly, providing both versatile cooking capacity and kitchen warmth. 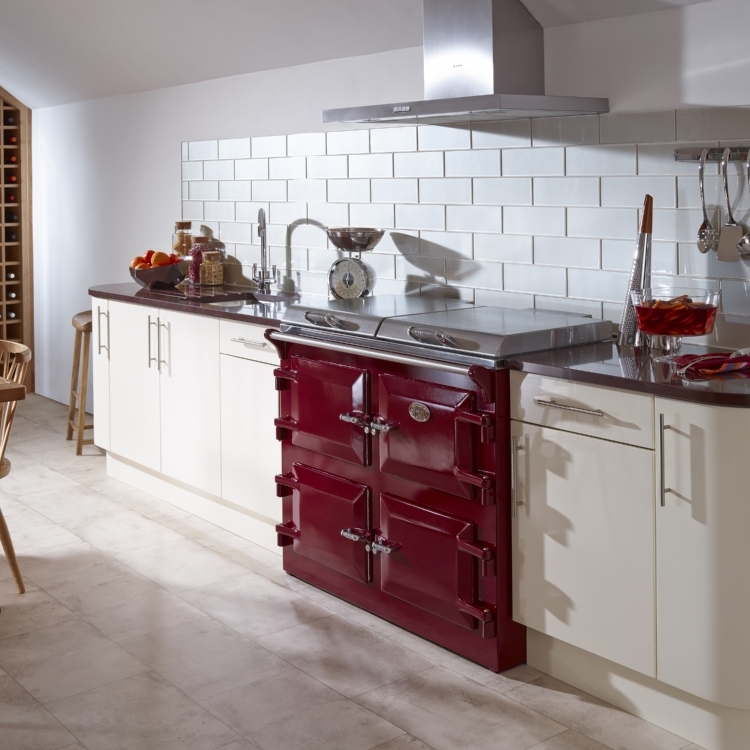 Beautifully elegant and balanced, this appliance has the poise to grace any kitchen, modern or classical. The Everhot 120 lets you enjoy the luxury of four ovens and four cast iron hotplates (each being independently adjustable for maximum versatility). So you can have cakes in one oven, roast vegetables in another, a joint in the third and plates warming in the fourth - all at different temperatures. On the hotplates, a sauce simmering gently, peas boiling on another and loads more hotplate space to spare. Each of the large top ovens has an integral grill. As with the Everhot 60 the control boxes are external and can be conveniently situated in adjacent kitchen units (or on the worktop). 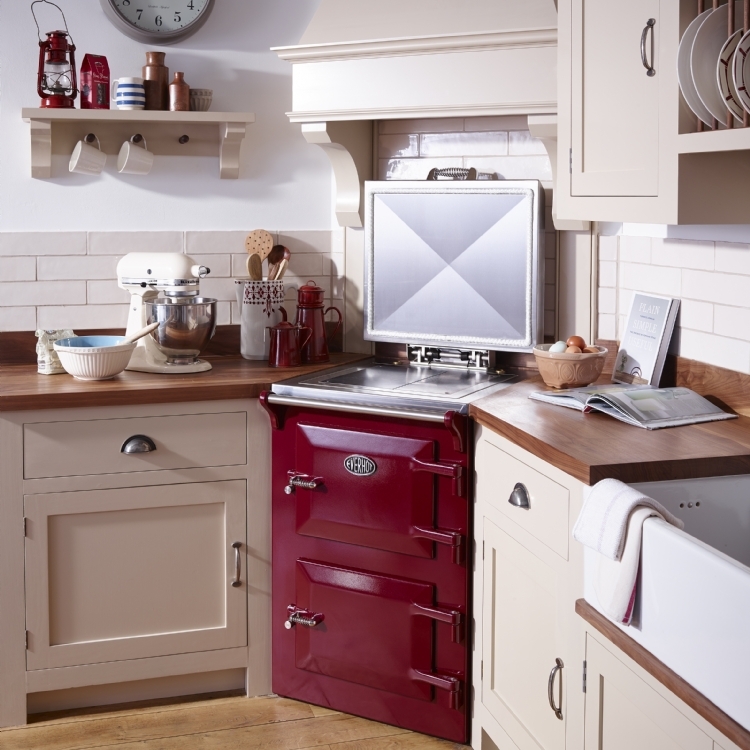 This is the ideal cooker for those who require more heat in their kitchen. 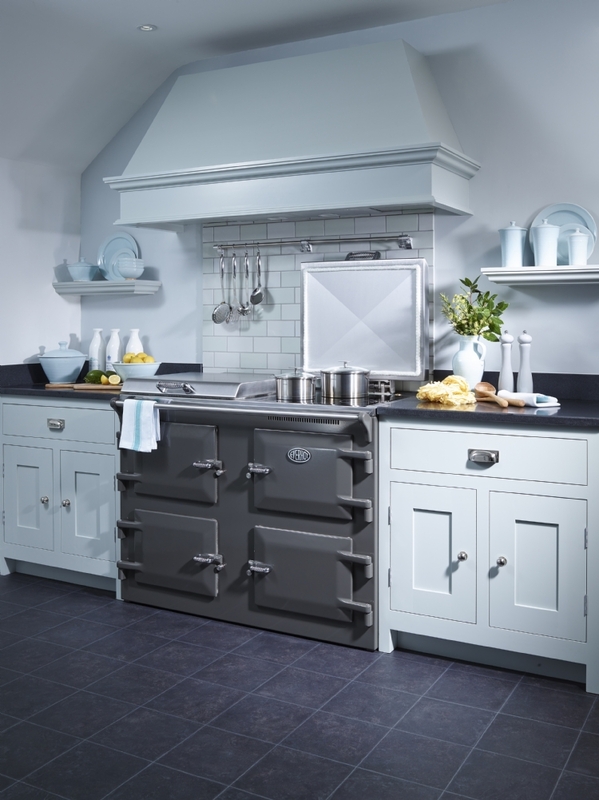 The Everhot 120i provides you with three ovens - on the left you’ll find the roasting and baking ovens, and on the right a slow cooking oven for when you have a houseful. With the 120i the final door conceals all the controls necessary to run the cooker. The Everhot 120i is generally delivered as a one piece cooker, however where there is difficult access the cooker can be delivered in two pieces which will be joined once in position. 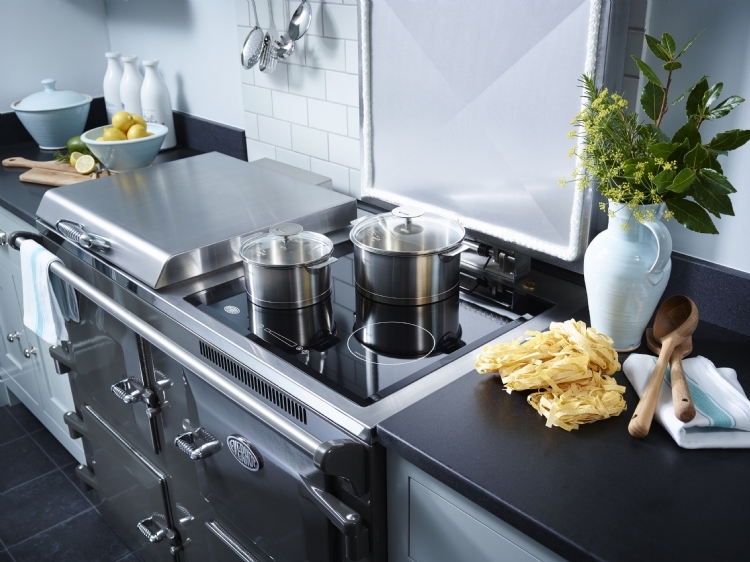 In addition to the classic cast iron hot and simmer plates, the 120i incorporates a fantastic three zone induction hob, perfect for hot summer days or to augment the overall cooking area.